The Essential 3 T's: How do you spend your Time, Talen & Treasure? "Entrepreneurs are lonely." This group exists primarily for the isolated entrepreneur, for us! We speak a different language that many of our own friends and family do not understand. This is a safe place where you can shine as the entrepreneurial hero and out of this world. "It's all about the conversation." It's always about the conversation. Free to attend. No Charge. 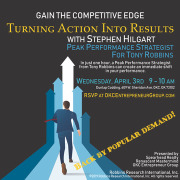 Bring a like-minded guest! Leverage the power of peer group, meeting like-minded people, networking, and education on how to be a successful entrepreneur. - Disseminate practical business development guidance for entrepreneurs & small business owners. - Allow members to network and benefit from each other's expertise. - Meetings are structured, educational, productive and inspirational. - Mingle with like-minded individuals and create strong business relationships. - Reach everyone in the meetup through simple introductions. - Take part in our highly successful interactive, inspirational and educational programs. - Learn more about the mindset and skills of business and small business ownership. - Learn about and create strategic alliances. - Become a spotlight speaker and promote your business. - Periodically, we will have other events such as feature workshops and mastermind sessions. 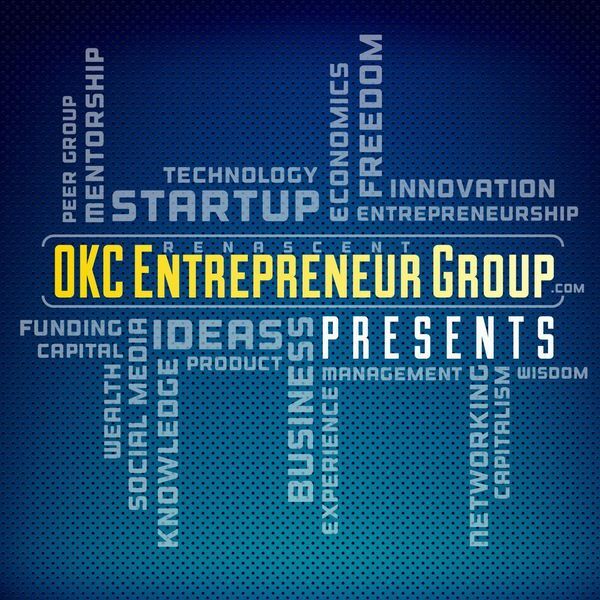 Monthly OKC Entrepreneur Group Meetup: Our main meetup on all things entrepreneurial. Guest speaker will share their story on the entrepreneur roller coaster, teach us something awesome and inspire us to chase the American dream. We will have guest speakers on all kinds of subjects. Sometimes it will be purely technical, sometimes an inspirational journey and sometimes we will surprise you! Mastermind Peer Group Support & Coffee with Entrepreneurs: Interact with fellow business owners to find solutions to the challenges you face. Sometimes all it takes is a fresh perspective to solve a problem. "Bring Your Topic." This is our "mini-meetup". Dinner with Entrepreneurs & "The Meeting After The Meeting": Dinner with a like-minded peer group, friends, investors, and entrepreneurs. Break bread and create relationships. Brain Dump & Goals Retreat - Workshop: Expand your mind and gain insight into brain hacking techniques. - Feature workshop that focuses on principles you can apply to grow your business. - Knowledge is a business owner’s biggest asset. Our workshops give you practical tools to help you maintain an edge in the highly competitive world of business. - Do you know how to set business objectives? - How often do you do strategic planning? - Would you like to master sales skills? - Dedicated business workshops cost hundreds of dollars and most small business owners do not have the time and money to take advantage of them. That is why our events feature condensed workshops that focus on just one aspect of a business. What is more, you get to mastermind as you interact with fellow business owners to find out how the information applies to your business! While our primary goal of this peer group is to inspire you and not networking, we network! There is plenty of other pure "network only" groups so we wanted to be different. This is the most productive business networking entrepreneur group you will find in Oklahoma City. Drop by our next meeting and see for yourself! Looking forward to helping you expand your business through networking, education, and encouragement. "It's all about the conversation." Always. Still not convinced? Visit our comments and testimonies page. Come and see for yourself at our next meetup. Free to attend. No Charge. It's all about the conversation. Enjoy the day and continue on the journey!